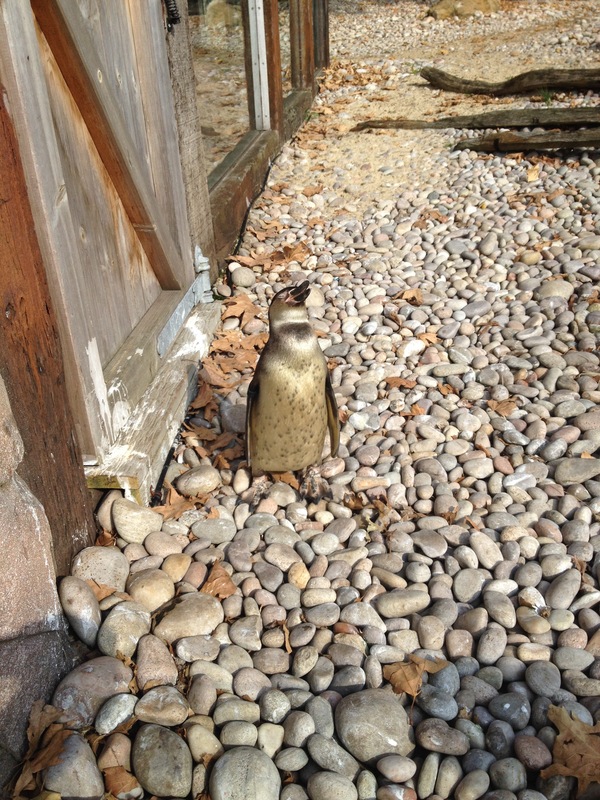 It was a sunny day on the last day of September at London Zoo, and this penguin was feeling it. Basking in it proudly. I have a lot of mixed feelings about zoos. Wanting the animals to be in their natural habitats rather than on display in enclosures or behind bars. At the same time, understanding the vital role the better zoos play in conservation and education. I thought about all of those things on my visit. Some animal areas made me feel profoundly sad. That bird is supposed to fly over the mountaintops, but his wingspan is half the width of his too-small enclosure. And some made me feel really hopeful. That animal is massively endangered in the wild from illegal poaching; thank goodness for this safe refuge. This complicated conversation in my thoughts reminds me that there are times when we all live with contradiction. That sometimes there is no clear-cut resolution on the radar. The navigation there is to not let the contradiction be crippling. I can’t let not having the “right” choice keep me from making any choice. Action comes from careful deliberation in my mind and with trusted colleagues, and then definite commitment. Where are some areas you feel contradiction? How do you navigate those?